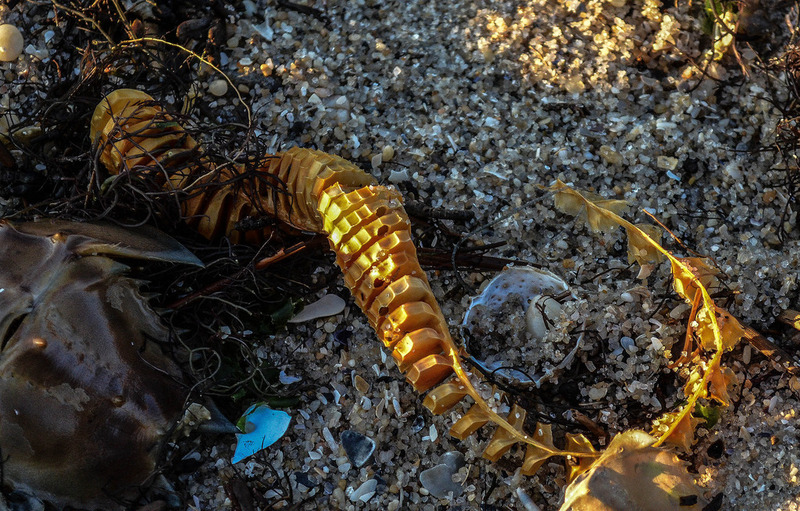 In centuries gone by beachcombers would come across this strange sight – a paper-thin chain of circular capsules – seemingly abandoned on the shore. The chances are that they knew exactly what they were but we can imagine that one fisherman, perhaps to entrance the girl he was courting, hit on a romantic name for this definitively non-ovate leftover; the mermaid’s necklace. The name stuck – of course it would, it allows a wonderful jump of the imagination. We can only guess how many stories were woven around them and told to starry-eyed children. Did they know that they were looking at the egg cases of the very creature they had enjoyed for dinner on numerous occasions? 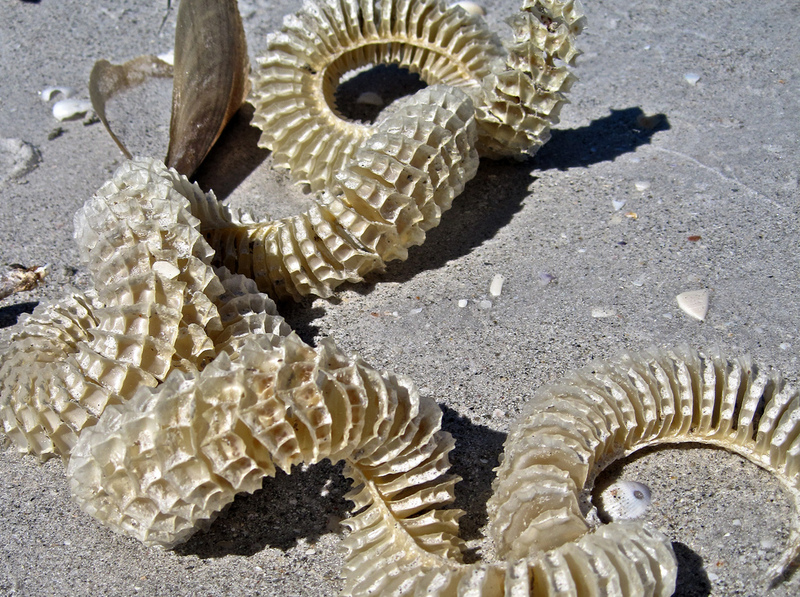 Legend aside, whelks mate twice a year – when they are migrating in the spring and autumn. The eggs are fertilized in internally and then are laid. 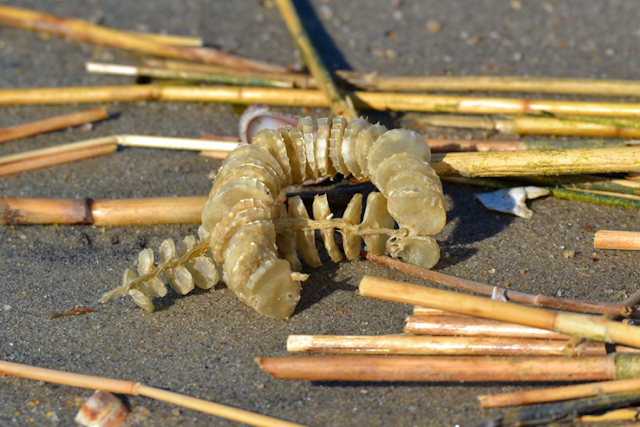 The female lays the eggs protected by flat round capsules – what we know as the mermaid’s necklace – and as the process continues they form a chain. The chain is fibrous, designed to be tough and sturdy. 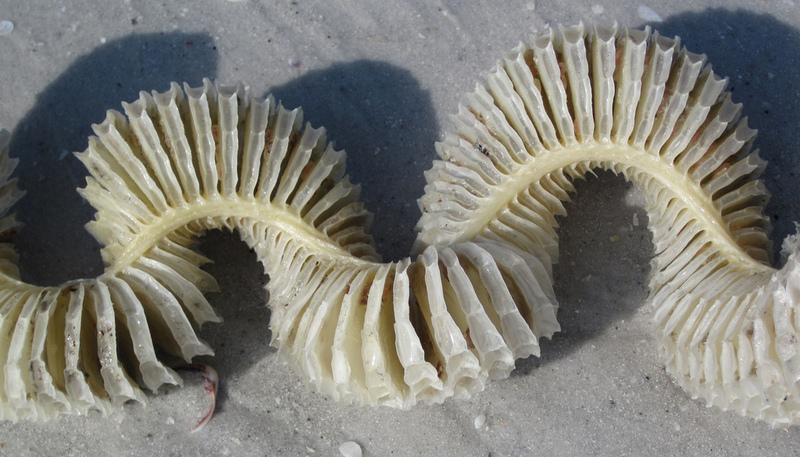 Albumen, a clear gel-like liquid further protects the eggs from the buffeting of the sea. One end of the chain will be buried on the sea floor. 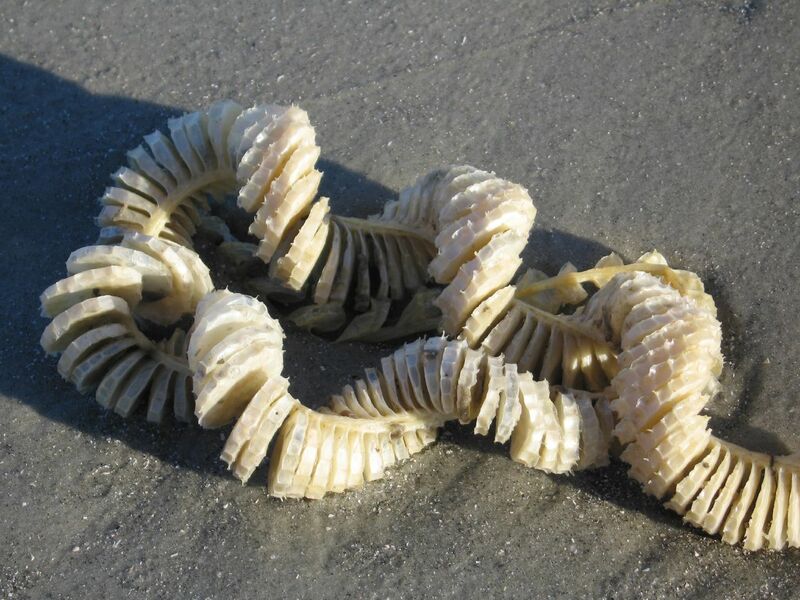 This provides the chain with an anchor and stops it being washed away until the eggs hatch. Talking of eggs, there are many. The eggs of the gloriously named nobbed whelk (Busycon carica) number between 1 and 99 in each capsule. As the female produces between 40 and 160 capsules this can mean a substantial amount of new nobbed whelks, should they all successfully hatch. Sometimes, however, nothing can stop the elements whisking away the mermaid's necklace before the eggs hatched. The lack of entrance holes on the example above suggests that the embryos are still within. 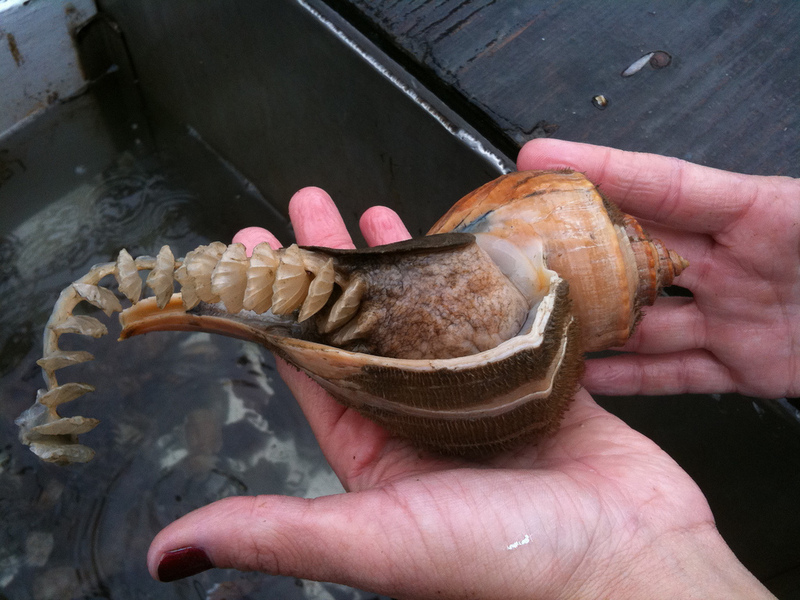 Not all whelks lay their eggs this way and when they do there is some variation. 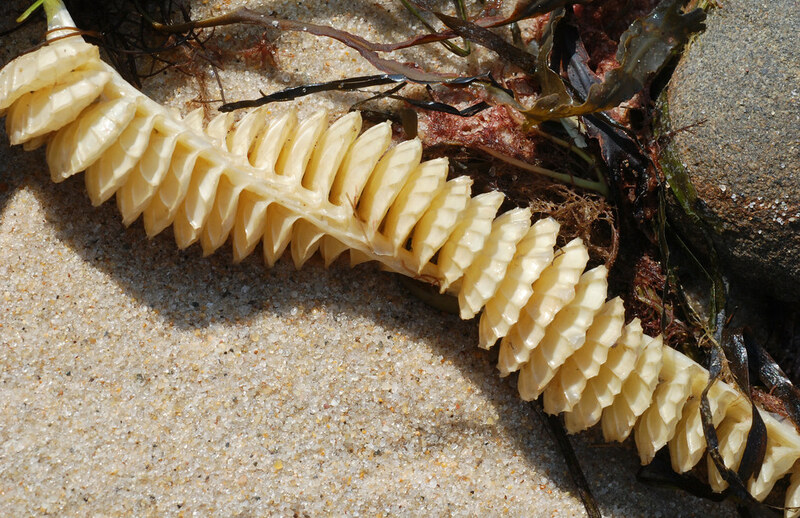 The egg case of the lightning whelk (Sinistrofulgur perversum) above has a golden hue to it which can only have served to enhance the various mermaid legends surrounding these peculiar articles. 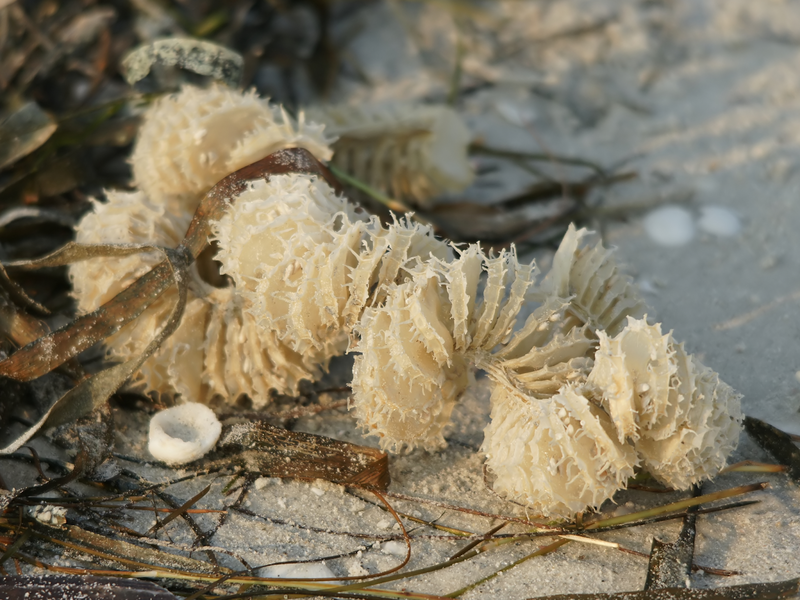 The fertilized eggs produce fully-formed juvenile whelks, although they are only about 4mm in length. 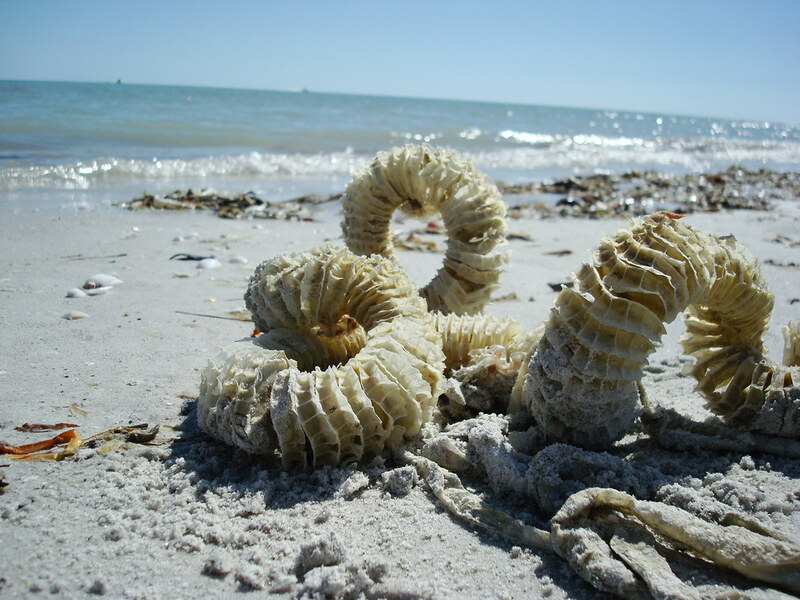 They have quite a way to go before they reach maturity and can often be 30cm (12 in) in length by then. 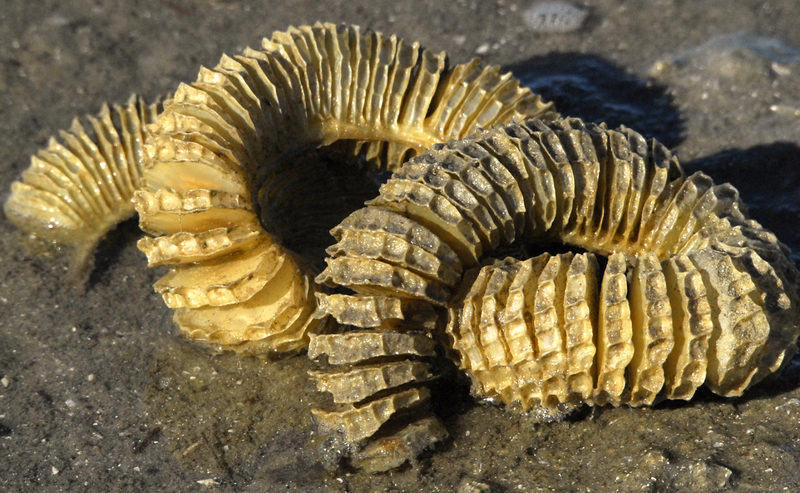 Whelks are sometimes caught in the middle of laying their eggs – such as the Channeled Whelk above. 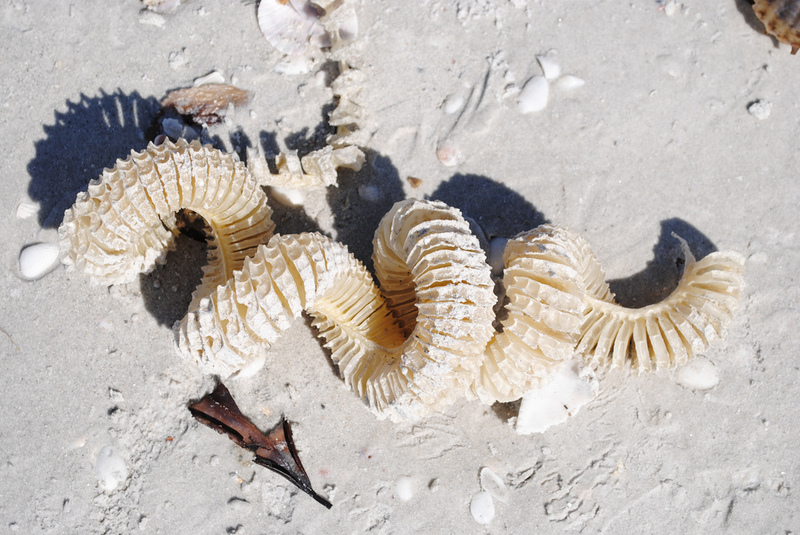 Photographer Eric Heupel tells us that “This lady whelk was promptly returned to the sea to complete her egg laying mission.” So you can rest at ease that these particular eggs were given a chance to hatch.